Pairing a waistcoat and jeans may seem like a mismatch but in this age of blending the formal with the casual, it's a style you could be seeing a lot more of, here's how to do it properly. Read more Men's Style Guide features. The waistcoat has long been preserved to only the most formal of events, most often being paired with the more conventional suit. Some key styles to wear them with would be a white tie or black tie event dress code, as part of a three-piece suit, or at weddings to finish off your wedding attire in a more considered fashion. Nowadays, though, one of the key trends we're seeing in menswear is blending the formal with the casual and the waistcoat is definitely a part of that. We know this style may still seem a little out there so we're hoping we can put your worries and queries to rest in this extensive guide. 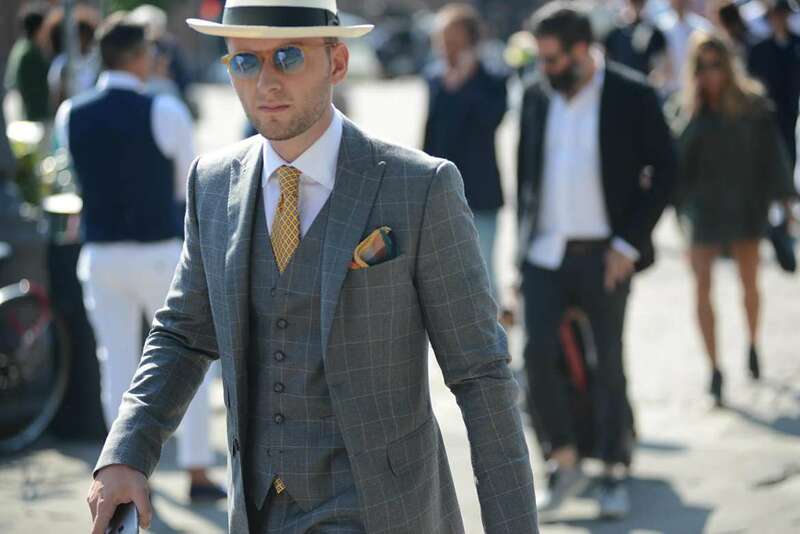 By breaking down the piece's history, how it should fit and what you should be looking for in materials, we should have you feeling confident in what waistcoat style would be good for you. Then, it's all about getting your jeans right and away you go. So, without any further ado, let's jump into it. When you're wearing your waistcoat there are a few tips, tricks and rule you should stick to if you're after a classic aesthetic. If you want a more rugged or alternative look from your waistcoat you won't have to pay close attention to these. On that last point, it's probably time we looked at the rest of your outfit. Now, in general, we want to keep everything well fitted and leaning more on the smart side of the sartorial spectrum. If it's cold outside, head for an overcoat or peacoat, for most people, we want to stay away from sportier or casual styles like bombers, windbreakers or parkas. If you're a little braver, you could try a biker jacket but, if you do go for that, make sure everything else is clean, smart and well fitted. Underneath the waistcoat, I'd go for an oxford shirt or, for a retro finish, a grandad collar. The main thing to note here is, if the shirt is plain, the waistcoat can have some print but if it's a printed shirt, keep the waistcoat plain. Do not mix prints and make sure you colour match properly! As I've mentioned on numerous occasions before in this post, you want to keep everything smart, clean and well fitted. We don't want to see any heavy washes, distress or wide legs, you'll just end up looking like a University English lecturer or an ex-presenter of Top Gear. Go for slim or skinny jeans, if possible, keep the rinse dark (indigo or black) and make sure they fit properly. You then just need to sort your footwear. Dating back to 1666 England, the waistcoat was born out of King Charles II's admiration for vests worn in the Persian courts of Shah Abbas. King Charles therefore instated them as correct dress during the Restoration of the British monarchy. In those times the waistcoat was a lot longer in the body and was far more extravagent. Fast forward to the 19th century and the designs were a lot closer to what we see today with a shorter body and simpler finishes. Then, as we hit the 20th and 21st century, we see the waistcoat adopted by everyone from the mafia to indie and steampunk followers in more of an ironic sense. Now the waistcoat is being seen worn as part of a casual look by the style-conscious, but it can be a hard look to pull off. When it comes to the fit of your waistcoat, there are a few things you want to keep in mind to make sure it looks tailored and considered, rather than just thrown on (unless that's the look you're going for of course). The armholes should be snug around your shoulders and the body should be well fitted. 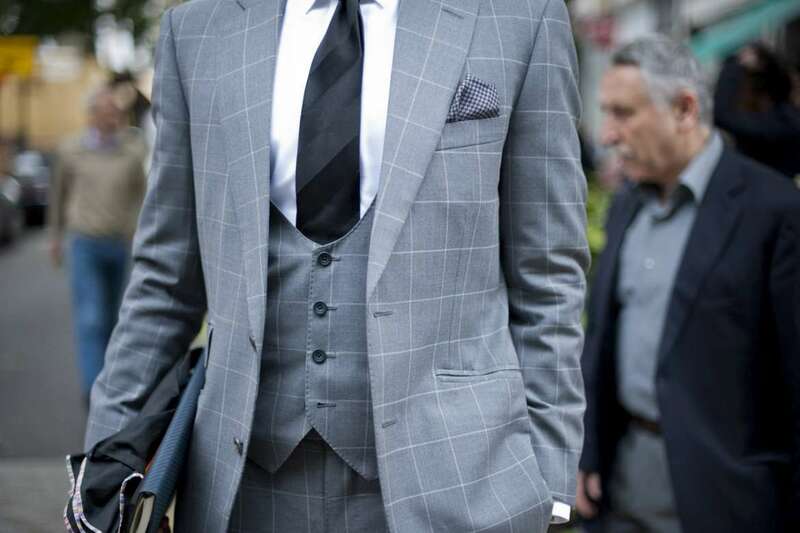 You don't want a baggy waistcoats, its job is to create a more streamlined shape for your torso so it should be fitted but the fabric should not show signs of stretch or strain when it's done up.